Have you ever heard of toning shampoo? Did you know that blondes need it? Another name for it is purple shampoo. It can help to fight off the orange and brass tones of color that will develop after you have chosen to dye your hair a lighter shade. Blonde hair can look great after you have dyed it, but the color has the tendency to fade quickly. Blonde hair needs to be cared for and toned regularly. A purple shampoo is an easy way to get this done, and we are going to have a look at the best purple shampoo for blonde hair in this post. Light-colored hair is susceptible to discoloration. This can be caused by several factors which include heat, product build-up, pollution, and swimming. The easy way to brighten up your hair without paying a lot of money is to use a purple shampoo. Since purple shampoo is becoming a huge deal, we wanted to make sure that you were aware of the many benefits of purple shampoo and how to use it. Purple shampoo is best used by people with light colored hair, whether that light hair is natural or induced. Light colored hair includes: blonde, platinum, ashy blonde, silver or gray, white, and pastel. How to Use The Best Purple Shampoo For Blonde Hair? There are several techniques that can be used for using purple shampoo for your light hair. It depends on what type of light colored hair you have and whether you have dry or oily hair. In order to keep things simple, remember that purple shampoo is a regular shampoo and should be used as such. Of course, there are methods to get the most benefits out of purple shampoo. Make sure that you liberally apply the shampoo to ALL areas of your scalp and hair. Don’t simply scrub your scalp and rinse. This will result in uneven tones. Start scrubbing your roots and slowly move towards your ends. To get the most out of your shampoo, let it sit on your hair for at least 5 minutes. Please remember that if you leave purple shampoo on for longer than 15 minutes, you could see purple tinting in your hair. After you rinse the shampoo out, use your favorite conditioner to smooth your hair out. Once your hair is clean and you have used the purple shampoo, put a moisturizing hair mask on your hair to lessen frizz and keep your hair smooth. After the hair has been washed and dried, take a look at the results. Some hair types soak up the purple coloring more than others. If you find that this has been the case, simply use a purifying shampoo and that should lessen the purple color. There are many different purple shampoos out there. Some are better than others. There are ways that you can tell if a purple shampoo is something worthwhile to purchase. Some things that dictate how a purple shampoo will work is the amount of color pigment and the attributes of the shampoo. When you are purchasing a purple shampoo, look at the product before buying. Examine the color, transparency, and consistency of the shampoo. Good purple shampoos have a thicker consistency, a deep purple color, and they will not be translucent. If you want the best purple shampoo for blonde hair, then look no further than this list. This list will introduce you to the top 10 purple shampoos for your light-colored hair. Fudge Clean Blonde shampoo will clean your hair and it will tone your blonde hair. It will neutralize yellow and brassy colors. Fudge Clean Blonde shampoo will leave your hair looking shiny and glossy, but it will help protect your hair color. It can repair and hydrate your hair while at the same time, restoring and protecting your lightly-colored hair. This shampoo has a lovely sweet smell of vanilla, cinnamon, apple, and pear. Apply the shampoo to your hair, scrub your hair, and leave it to sit for 5 minutes. After washing it out, use a Fudge conditioner to help maintain your hair color. Beauty with a Twist is a hair care product that will help you to have healthy and shiny hair. If you have blonde hair or highlights, this shampoo will help protect your hair color. It is an enriched shampoo that is designed to tone down the brassy colors in bleached or tinted hair. 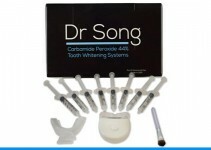 It can also eliminate orange and yellow colors in white or grey hair. To use, put a small amount of shampoo into your hair and lather. Let sit for 5 minutes and rinse. Beauty with a Twist uses the highest quality ingredients and are certified with no testing on animals. 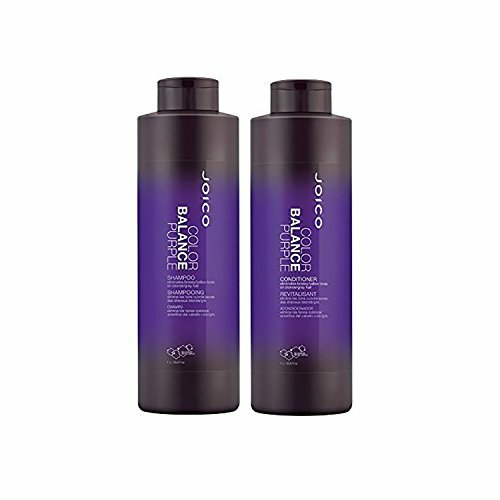 Joico’s vibrant shampoo and conditioner is able to protect your hair. It has the ability to preserve platinum blondes and silvery hair. It protects hair against brassy colors and keeps the vibrancy of the hair intact. Joico protects colors from fading and it has the added benefit of repairing hair and fighting frizz. Joico uses stellar ingredients to increase the damage-protection ability of the shampoo. To use, lather into wet hair, wait 5 minutes, and then rinse. Repeat this process 2 times a week for the best results. 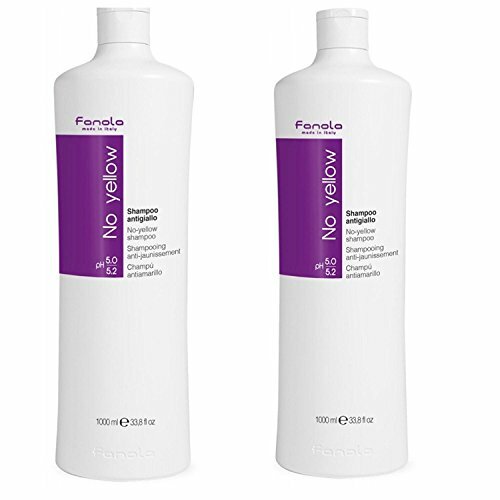 Fanola No Yellow Shampoo is made with a violet pigment that helps to turn grey and light hair to be less noticeable. This purple shampoo will keep your hair bright and consistent. Fanola is intended for grey, super lightened, or de-colored hair. The violet pigment in Fanola will help to tone down the unwanted colors in gray or silver hair, light blonde, or streaked and highlighted hair. Before using, be sure to cleanse your hair. Lather shampoo into hair and wait 5 minutes before rinsing. 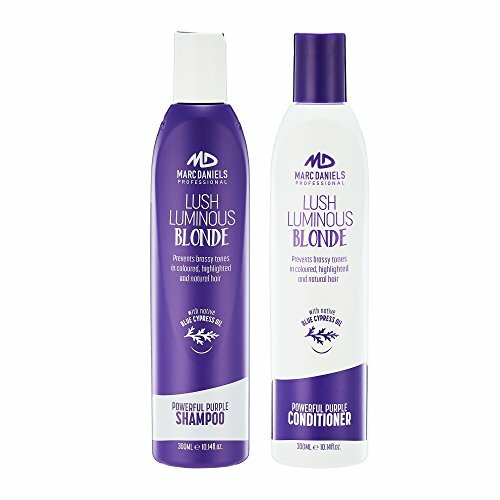 Dumb Blonde Purple Toning Shampoo is a correcting shampoo for blonde or lightly-colored hair. It will gently cleanse your hair while helping to tone your colors. Bed Head contains a purple toning pigment that will help to neutralize brassy tones in blondes. It will also help prevent frizz and flyaway hair. This shampoo will leave your hair feeling soft and smooth while protecting your hair colors. It will help improve the vibrancy of blonde hair and will add a shine to hair. Winsome and Wisdom provide top quality hair care. 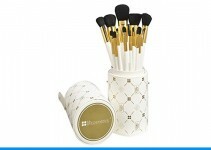 Their products are cruelty free and paraben free. BlondeMoment Shampoo is a purple shampoo for blonde hair and grey hair. It helps cleanse the hair and protects the hair against fading. This purple toning shampoo eliminates yellows and brassy tones and is safe for color-treated hair. The benefits include brightening colors and it provides protection from sun damage. Wet hair and apply a generous amount of shampoo onto hair. Allow shampoo to sit for at least 5 minutes and rinse. Sheer Blonde Color Renew neutralizes brassy and unnatural color tones. It uses color-correcting technology and lavender extract to rebalance blonde color tones. It also softens hair. Use in place of regular shampoo at least three times a week. This shampoo is ammonia and peroxide free. To use, wet hair and apply a generous amount of shampoo onto hair. Allow shampoo to sit on hair for at least 5 minutes for full effect to take place. Rinse afterwards. Lush Luminous Blonde shampoo prevents and protects against brassy blonde colors. It works on blondes, greys, and silver hair. It restores shine and helps make hair manageable. Marc Daniels shampoo is infused with Australian Native Blue Cypress Oil, which is an oil that naturally restorative purple pigments. It will help neutralize brassy and orange overtones and leave your hair looking healthy and natural. No Yellow Silver Shampoo helps to combat yellow and brassy tones. It is a powerful purple shampoo that contains an intense violet pigment that will help counteract yellow, orange, and brassy color tones. This shampoo is good for use on blondes, greys, bleached, and highlighted hair colors. B Uniq will enhance your hair color for a vibrant look. It is formulated with Vitamin B to help give hair a proper shine. Frequent use will help brighten hair further. 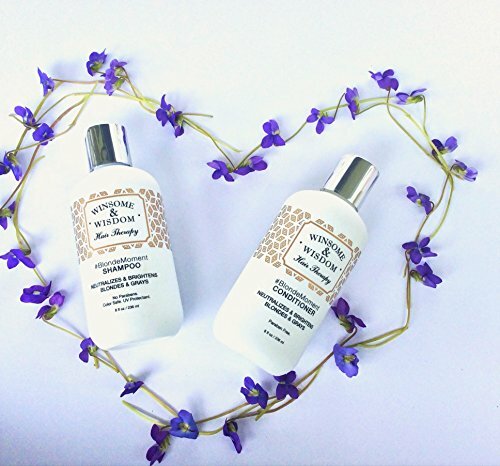 Use this purple shampoo several times a week alongside regular shampoo to help your hair color remain intact. Shimmer Lights helps to refresh faded highlights and it removes dull yellow coloring from grey hair. It helps to leave hair shiny without leaving a residue behind. It is safe for use on natural or color-treated hair. 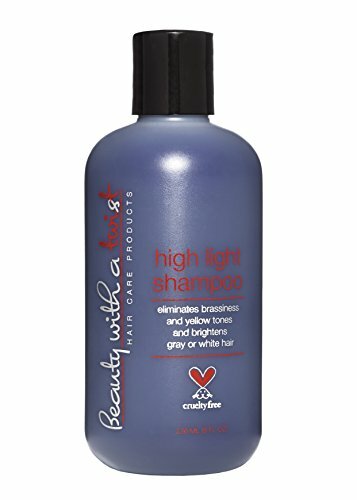 This silver shampoo works well on blonde and grey hair, and it is safe for use on all skin types. To use, wet hair and lather on a generous amount of shampoo. Wait 5 minutes and then rinse. Purple shampoo is best used for neutralizing warm tones in blonde hair by using violet pigment. It helps keep your blonde hair looking natural. Remember to tweak how often you use purple shampoo based on how much color correction you actually need. Purple shampoo can be used in place of regular shampoo or you can choose to use it sparingly a few times a week just for the color treatment effects. Remember afterwards to use a conditioner and a hair mask to moisturize your hair. In order to rock the blonde bombshell look, there is a lot of behind-the-scenes maintenance. The key to a lovely head of golden locks is purple shampoo. It is not just any old shampoo, it is a toner and color-corrective treatment for your hair. It is an essential product to have in your routine for hair care if you would like to maintain your lightly-colored hair.